On average, how long do crankshaft postion sensor last? 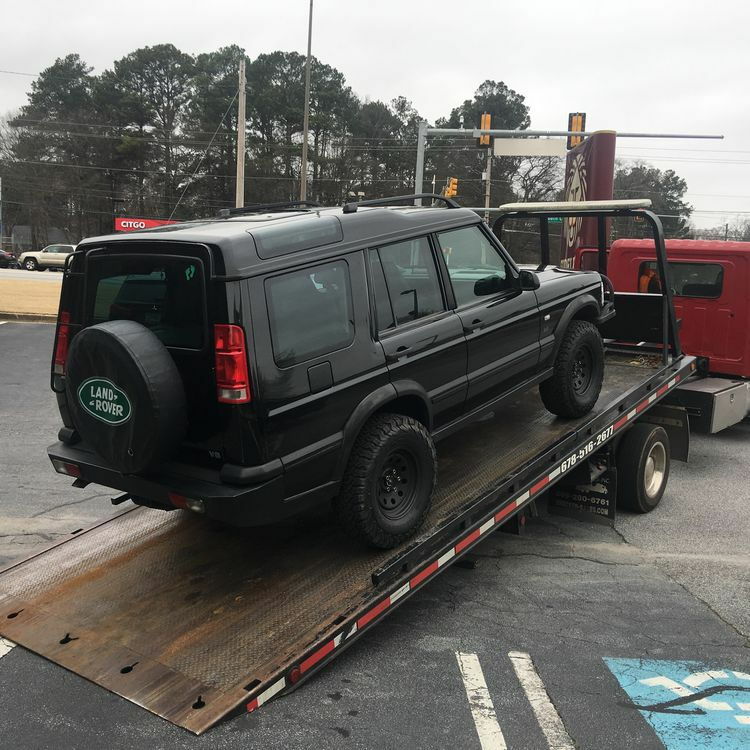 2004 LR Discovery, 110.000 MILES. Regarding the crankshaft position sensor, which when faulty, causes the ECU to not receive pulses from this sensor, so the ECU allows fuel ejectors and/or ignition spark timing to be lost, thus vehicle engine does not run, and when engine does stop, it cannot be started again, until engine gets cold. At least this was my experience with bad sensor, though it may cause other conditions as well. My bad sensor was a Bosch, and I THINK OEM, (WHICH BECAME BAD AT 110,000 MILES) because it said on it that it was made in Germany, while in more recent years. most Bosch examples I have seen say that they were made in Romania. Having this sensor die on you, especially when you are many miles into the most remote areas possible, does not lend itself to your personal security. DOES ANYONE KNOW, IN GENERAL, THE LIFE EXPECTANCY OF THESE BOSCH CRANKSHAFT POSITION SENSORS? AM I CORRECT, IN THINKING THAT THEY MAY LAST AROUND 100,000 MILES, IF MY ANALYSIS IS CORRECT, OR AM I WAY OFF WITH WHAT I THINK IS AN EDUCATED GUESS? PLEASE SHARE WITH ME, AND OTHER READERS, YOUR EXPERIENCES WITH FAULTY BOSCH CRANKSHAFT POSITION SENSORS. Last edited by earlyrover; 02-08-2019 at 04:16 PM. I'm glad you asked this question because I have been wondering the same thing. The first CKPS in my truck failed at 112,000 miles, on the way home from a boy scout weekend trip with six scouts in the truck and an hour and 40 minutes from home. I'd pulled up to a stop light and the engine died. Like turning off a light switch. The truck got towed, and a parent with a minivan came to rescue us. That was relatively benign; as I understand it the CKPS can fail while you're driving down the highway at speed, and if the engine dies the power steering and the power brakes die. Probably survivable, but not fun if you're in traffic. That was 60,000 miles and 8 years ago, and as you point out a failed CKPS is one of only a few things that can leave you stranded (absent some truly catastrophic failure). Presuming I keep the truck I'll probably replace it proactively, but when? I also wonder what the cause is of a failed CKPS. It's just a magnet that triggers an electric pulse as the flywheel reluctor ring passes it. No moving parts. What goes wrong? Last edited by mln01; 02-08-2019 at 06:14 PM. I have not had one fail at less than 200k, but assume it is possible. They failure mode seems to be heat related, so now I wrap the cover in aluminum foil and install an additional aluminum heat shield. I had one that was beginning to fail, ran fine but if you shut it off for ten or twenty minutes and it heat soaked it would not start until you dumped water on it. I put the heat shield on and the problem went away. I think the majority of the heat soak is via radiant heat from the manifolds of about 500 degrees - all the conductive heat is 200 degrees or less. Once, in my 2002 at 190,000 miles. It failed again in about 1 thousand miles, I replaced it with another new genuine Land Rover and has been fine since. My 2003 had its replaced by my indy shop at a hair under 100,000 miles. Mine lasted at least 250000km (not sure when and if the PO had changed it). I did have a spare because I expected it to go out but of course, I waited for the truck to die in the middle of a busy intersection during rush before changing it  With electronics, the life expectancy is more dependant on heat cycles than mileage. My first one lasted 115,000, my 2nd one from Autozone about 50,000, but that is in the brutal heat of Phoenix, AZ. Worth having as a spare, but I sure would not want to have to change one on the trail, roadside, or parking lot. When mine failed, it was cool off 20 mins, drive 11 miles, repeat. I called a tow also because I was too far from home. mino1 wrote" I also wonder what the cause is of a failed CKPS. It's just a magnet that triggers an electric pulse as the flywheel reluctor ring passes it. No moving parts. What goes wrong?" I have extensive experience in electronics. Yes, the CKPS is just a magnetic electrode, a permanent magnet,by the way, though I read in one workshop manual that it is an electromagnet, but that is not true. No power is fed to the CKPS. The reluctor ring has teeth, which rotate around the magnetic electrode, causing magnetic pulses. Whenever you have magnetic pulses, that translates into electrical energy pulses created within the CKPS, which go through the wires of that CKPS, to the ECM. So, after X amount of time, through X amount of heat cycles, the CKPS fails. That should come as no great surprise, because with most all electronic components, one of the greatest enemys, if not the greatest enemy, is HEAT. Most solid state electronic components have no moving parts, yet fail due to long use, with heat generation, from transformers, etc., accelerating the failure along. With my experience with CKPS failing, it was definitely heat related,as it worked perfectly when cold, but failed once heat and use reached a certain point, i.e. 15 minutes to 30 minutes from cold. Original CKPS were Bosch, and I have never seen on made by another maker. Thus, I would agree with poster Extinct, regarding heat affecting the sensor. Exhaust manifold is above the CKPS, while the Catalytic converter is a short distance below it, so a lot of heat is created. Extinct installing a double wall, i.e. insulated heat shield, rather than OEM single wall heat shield, might be a good idea.\, or installing an aluminum air shield, to force a stream of air, into the heat shield area of the CKPS might be a good idea too. Based on small data from all you guys, gives me more confirmation that most of the CKPS fail at around 100,000 miles, so damn good idea to change it around that time, for it would be no fun having it fail on an interstate highway.....LOL. I understand that thermal cycles can kill electronics, but I wouldn't consider the CKPS sensor magnet and two wires to be "electronics." No printed circuit boards. No resistors or other electronic components. That said, I don't know how the wires connect to the magnet so i suppose that could be the failure point. Several years ago the HDMI input on my first flat-panel TV stopped working. I poked around online and found a recommendation to bake the main board at 400°F for 10 minutes, then let it cool for 30 minutes before moving it. It worked. The reason explained was that thermal cycles created a fissure in a key solder joint, breaking the connection, and that heating the board allowed the solder to melt ever so slightly but just enough to close the fissure and restore the connection. Baking the main board smelled up the house but that dissipated after an hour or two! Months after I bought my 2001 Disco 2 with 78K miles in 2017, I asked this same question on this forum. I didn't get many responses so I let it be. Needless to say that year, my engine died on me in the middle of Atlanta traffic in the summer due to the CPK sensor crapping out on me. Aaaaargh! IMHO... if you don't know how old your CPK sensor is, replace it with a Bosch unit ASAP for preventive maintenance and keep the old one as a spare. I tried 2 Duralast (Dura-not-last) CPK units and both were crap which I took back to AutoZone for refunds. Last edited by JUKE179r; 02-12-2019 at 04:20 AM. Quick Reply: On average, how long do crankshaft postion sensor last?